When dispensing the solution, it is disposable and used to prevent contamination. Although there are sometimes bent, because the purpose is application, I do not mind. Is not there anything cheap like this? The whole is blinding and it is good to be sterile but I did not feel like washing it and using it again. Whether it is disposable for money or not, another manufacturer squeezed the iris, it washes it even though there is only one, it is using it. I do not know the stuff, but I hope to meet such products. Sterilization is unnecessary for our applications. However, although the accuracy of the scale is unreliable, since one drop volume is stable, a small amount of additive is easy to use for adding additives. I can use it without problems except that it contains a lot of pretty crooked ones. It is a consumable item to use everyday at a low price, so I'm using it very conveniently. I also plan to purchase regularly. Although I have purchased it many times, it is user-friendly and convenient. 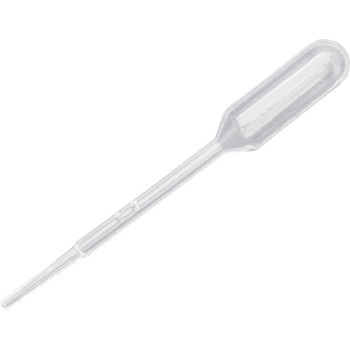 Because it is used for pet urinalysis, it is saved because it is sterilized, disposable and cheap. Because it can be used in disposable, it is very convenient. Scales are useful as well.